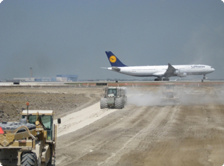 This project involved moving existing berms at O’Hare Airport. Approximately 1.6 million cubic yards of soil was moved to provide consolidation burden for a future runway, requiring 90-95% compaction rate. The project also included additional civil work, such as relocating/installing ditches, constructing aggregate berms and rock check dams, installing new utilities and pipe culverts, etc. One portion of Irving Park Road was rebuilt to allow for movement of heavy dump trucks. A new traffic signal was also installed for night work, involving coordination with IDOT for the replacement of the control cabinet. Mr. Nagpal of Techknow was the QC Manager. 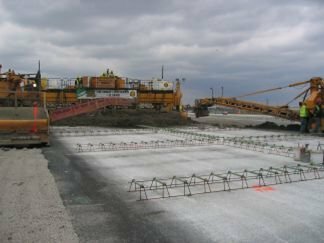 This project required the construction of approximately 3.5 miles of new asphalt service road along the North Boundary of O’Hare Airport. The key parts of the project were two land bridges which supported asphalt pavement over drilled shafts and the protection of an 8-foot-diameter main that provided water to the entire Northwest region of Greater Chicago. Other associated civil work was included, as well. Techknow was responsible for providing Quality Control for K-5 and their subcontractors, with Mr. Nagpal acting as QC Manager, interfacing with City of Chicago and Joint Action Water Agency (JAWA) teams. Potholing was used to establish true routing and the depth of the water main. Construction was constantly overseen by a JAWA inspector. Techknow performed QA/QC functions for a 1.4–mile Railroad track relocation and other work performed by the prime construction contractor and other subcontractors, including developing the Quality Assurance Program for the O’Hare OMP Project and providing Construction Quality Control Inspection services. The key aspects of this project were: developing a comprehensive Quality Assurance Program; inspecting over 40 pay items and maintain a quality control program during the project; coordinating with all the subcontractors and the OMP all phases and activities related to construction quality; and being the Quality Program Administrator for the Project. Techknow was responsible for all construction inspection, including soils testing, field inspection of compaction, trenching and utility placement on this project. The relocation of Bensenville Ditch and the preparation required for the new Fedex building at O'Hare were included in this contract. Techknow handled Quality Control and coordinated the activities of several contractors, including T J Lambrecht and Walsh Construction. This project involved saturated soils which had to be dewatered and stabilized using lime. Several large utility pipes for drainage and electrical duct banks were inspected by Techknow personnel, and all the daily reports to the O'Hare Modernization Program were submitted by Techknow. IDOT IL-53 Resurfacing and Concrete Repairs from US 12 to Higgins Rd. Techknow was responsible for the inspection and supervision of bridge and concrete repair work on this IDOT project. They also inspected asphalt paving work at night. Work was carried out at seventeen bridges in both directions and included patching; repairing approach slab; replacing expansion joints; and installing silicone joints and resealing relief joints. Other work included concrete restoration at bridge piers, abutments, wing walls, crash walls, slope walls, parapets, and curbs. Seven miles of road were resurfaced in total, including both lanes and ramps. Other inspections involved striping, stripe removal, reflective pavement markers, traffic control systems, and surveillance loops. Mr. Joti Nagpal of Techknow headed this project. This project required installing duct banks for AT & T at various city street locations scattered across Chicagoland, thereby allowing them to expand their telecommunications network. Work involved breaking the existing curb and gutter, excavating along the pavement edge to the required depth, installing new ductbank over a gravel bed, and backfilling and constructing new curb and gutter at top. Techknow's provided quality control and performed concrete testing, satisfying the project specifications and local requirements, including liaison with local authorities. Techknow provided complete A/E services, including architecture and civil, structural, mechanical, and electrical engineering, for ComEd's two new Area Headquarters - one in Northbrook, Illinois and the other in University Park, Illinois. 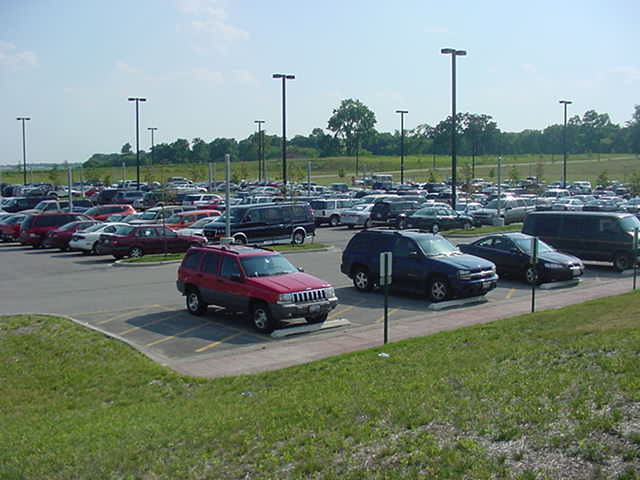 Each 20-acre Area Headquarters consisted of a 68,000 sq ft office/warehouse building, a high bay transportation building, parking areas for employee cars, customer cars, and ComEd trucks and trailers, and a large outside storage area. 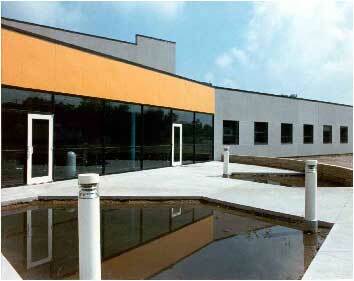 The Bolingbrook District Headquarters of ComEd needed expanded all-weather storage and parking pavement. 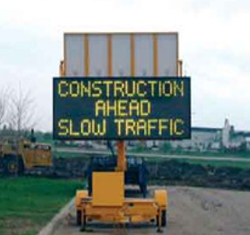 Techknow surveyed the site and designed a new pavement and storm sewer system for an additional 20,000 s.f. of pavement with an estimated cost of $25,000. 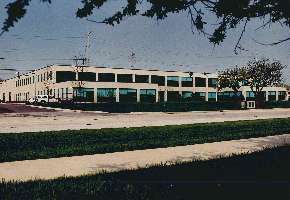 The Aurora District Headquarters of ComEd needed to construct all weather pavement in their storage area at the site and renovate the deteriorating parking pavement. Techknow surveyed the site, made cost estimates and recommendations, and divided the work into several phases through a master plan. The construction cost was $700,000. Storm water detention and flood plain analysis was also prepared for the site. Techknow constructed the Laundry, Tool, and Dry Waste Storage Building, a two story building located west of the Unit 1 Turbine Building at the ComEd Quad Cities Station, as a design/build contract. The building contained 22,000 square feet of sorting and storage space and a hot machine shop, a decontamination facility, a respirator facility, dry active waste storage, a compactor/sorting area, and clean and dirty storage. 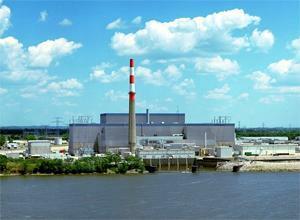 Provisions were also made for handling the storage of several types of radioactive waste containers. Techknow performed all structural, HVAC, civil, and electrical engineering and architectural design for this project. Techknow designed four standardized training facilities worth over $22 million as part of a design/build team for ComEd's Byron, Braidwood, Quad Cities, and Dresden nuclear power stations. The company performed all architectural, structural, HVAC, plumbing, fire protection, civil, electrical, and lighting design. Techknow also designed ties-ins from the main plant to the new buildings for the sewage, potable water, fire protection, computer and communications systems at all four sites. 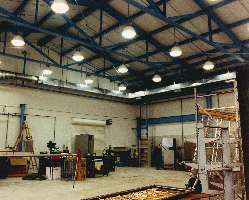 Each building had extensive electrical, computer and telecommunication, HVAC, and fire protection systems. 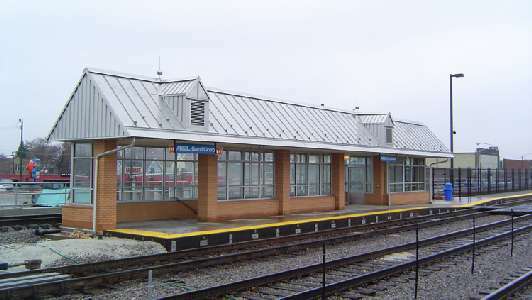 Techknow provided civil engineering (including drainage), site lighting, station lighting, demolition, power and control, landscaping, and security design, as well as post-design services, for this Metra Station. Techknow performed a topographic survey of the proposed new Bartlett Station site and prepared mechanical and electrical preliminary designs and cost estimates for three alternate arrangements of the station. Techknow prepared preliminary architectural, mechanical, and electrical station designs and cost estimates for the two alternate Metra sites. 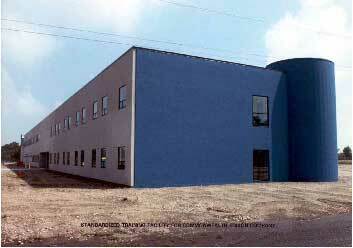 Techknow prepared preliminary designs and cost estimates for this Metra site. Techknow conducted an environmental review of two sites, one in Cary, Illinois and the other in Cuba, Illinois, prior to acquisition by Metra. Due to contract requirements, Contractor had to partially cut down an existing L-shaped Gravity Retaining Wall in Chicago and modify the grading around it. The 3-foot thick wall was flanked by sidewalks to the south and west. Techknow Principal, Kul Razdan, SE, reviewed the contract drawings and evaluated the field conditions before providing his recommendations for the proper procedure to follow for safe execution of work, with minimized damage to remaining wall. He also recommended that cracks in the gravity wall to remain be filled with Epoxy, following CDOT/IDOT specifications. Techknow provided construction management and full resident engineering services for the system-wide installation of new closed circuit television (CCTV) cameras, as well as upgrades to and relocation of existing CCTV cameras at 36 sites. The new and relocated cameras were then integrated into ISTHA’s existing CCTV system and Traffic Incidence Management System (TIMS). Mr. Joti Nagpal of Techknow organized site walkthroughs for each location to ensure utility coordination and evaluate risk factors. Techknow was also fully responsible for the interface between new power and fiber optic systems built around existing utilities, to ensure no disruption of toll services. Two sites required new power service, and three locations required tapping into existing fiber optic back bones. Techknow provided electrical and structural design services for the deployment of nine DMS signs on I-88/I-94/I-90/I-294, as part of the expansion of the Tollway’s DMS network. The scope included sign support structure and foundation design, power and communication feed design, and the proposal of sign locations for maximum visibility. Some signs utilized solar power and wireless communication. Techknow’s scope of work on this project included design engineering and preparation of Contract Documents for the electrical work for Signals and Dynamic Message Signs (DMS), review and revision of special provisions, and coordination with ISTHA IT regarding their fiber optic backbone. Additionally, Techknow prepared plans for partial demolition and the relocation of a communication tower to facilitate relocation of the existing roadway. The feasibility of the tower relocation required review and comparison of existing site conditions with the soil borings at the new location to ensure no undermining of the existing control building at the new location. After completion of the design for Open Road Tolling Modifications at Plaza 21, Techknow was asked for assistance in Toll Booth Modification at this location. This included the redesign of all MEP Systems, the interior layout, the flooring, the furniture, and the exterior booth painting. The contractor was given the option to perform these modifications at site or at an independent third party location. Drawings and specifications were both prepared for the contractor’s execution of work, and a cost estimate was provided to the ISTHA. 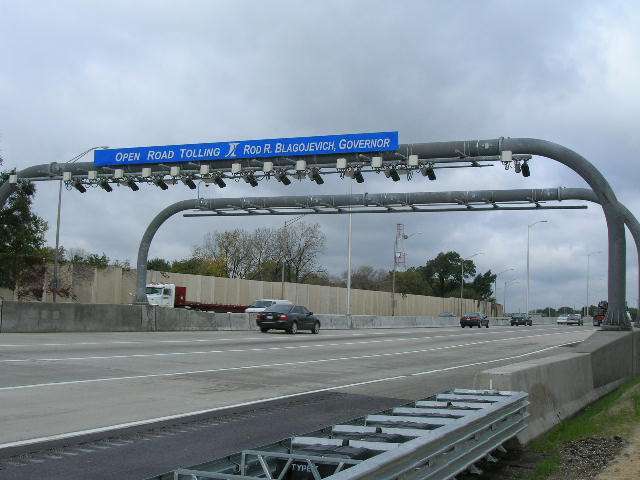 Techknow was responsible for creating an updated standard for Toll Booths, which included a complete redesign of the Booth interior and exterior and the MEP Systems. The manufacturer was instructed to fabricate a set number of Booths per this prototype design and deliver them to the ISTHA storage facility for future installations at various Toll Plazas. Techknow developed plans, special provisions, and a purchase cost estimate for a typical Toll Booth.